Former President Goodluck Jonathan has asked former Vice President Atiku Abubakar to apologise and beg former President Olusegun Obasanjo to secure the presidential ticket of the Peoples Democratic Party (PDP) for the 2019 election. 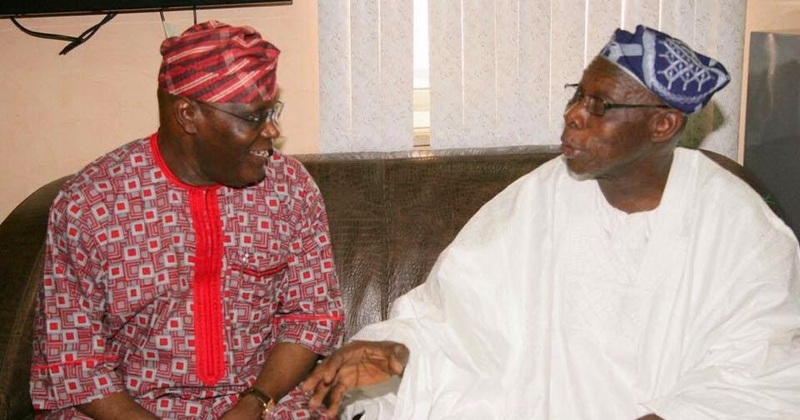 Sources in PDP told a national newspaper that Jonathan said Atiku must beg or apologize to ex-President Olusegun Obasanjo to get the 2019 presidential ticket of the PDP on a platter of gold. The fate of the Chairman of the Caretaker Committee of PDP, Sen. Ahmed Makarfi, on the party’s 2019 ticket was hanging in the balance as at press time. 0 Response to "Go and beg Obasanjo if you want to win – Jonathan tell Atiku"